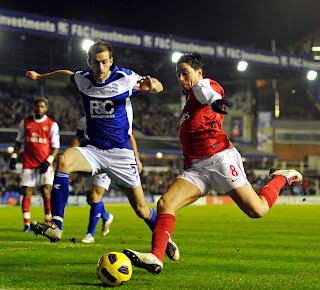 Arsenal and Birmingham City clash on Sunday, February 27th in the final of the 2011 Carling Cup (also called the League Cup by many) at Wembley Stadium. The Gunners are seeking their first silverware since a then Thierry Henry-led squad won the 2005 F.A. Cup. Meanwhile, Birmingham is looking for its first title since it won the old Third Division and Football League Trophy (a completion for third and fourth tier English Football League teams) in 1995. Here is the World Soccer Shop Blog Everything You Wanted to Know But Were Afraid to 2011 Carling Cup preview. Over the years, Arsenal boss Arsene Wenger has used to Carling Cup to give fringe and young Gunners competitive runouts. He did start this year’s completion in the same manner but as Arsenal progressed looked like contenders for the cup, Wenger has increasingly fielded his first team regulars. The Gunners faced and defeated Premier League opposition (including fierce rivals Tottenham) in the first three rounds of the Carling Cup before suffering a shock defeat to Championship side Ipswich Town in the first leg of the semi-finals. However, Arsenal summarily dispatched with the Tractor Boys 3-0 in the return leg to book a spot in the final. 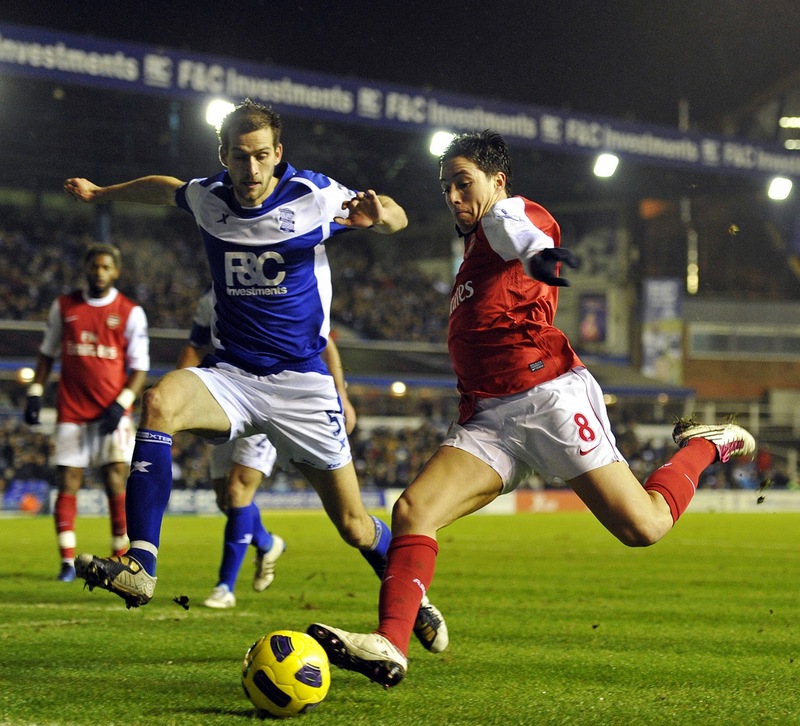 Without the same quality of reserve players as Arsenal, Birmingham City manager Alex McLeish fielded teams featuring a mix of first team regulars and fringe players early in the cup. As the Brummies move through the rounds the first teamers that feature for the club in English Premier League matches were also starting in Carling Cup fixtures. The club faced lower league opposition until meeting local rivals Aston Villa in the quarter-finals followed by Premier League strugglers West Ham in the semi-finals. Arsenal is currently in fine form having defeated FC Barcelona in the UEFA Champions League last week and battling it out with Manchester United for top spot in the Premier League. Birmingham, on the other hand, sits towards the bottom of the league table and just three points out of the relegation zone. There are the last five results for both clubs. In the United States, you can see the 2011 Carling Cup Final live on Fox Soccer Channel at 11:00 AM Eastern Time on February 27th. Arsenal – Manager Arsene Wenger has confirmed that England international Theo Walcott will miss the Carling Cup final with an ankle sprain picked up during Wednesday’s Premier League win over Stoke City. Birmingham - Midfielder Alexander Hleb may miss the Carling Cup final following an injury to his knee in Saturday’s 3-0 FA Cup win over Sheffield Wednesday.